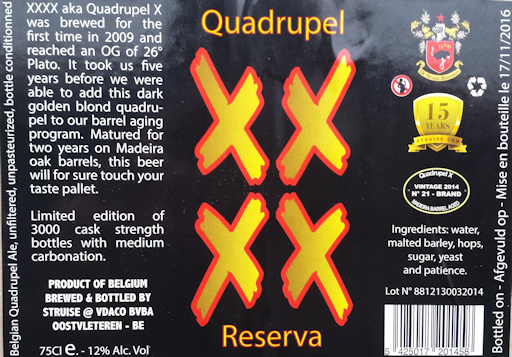 Blond Quadruppel aged for two years on Madeira oak barrels. A limited edition of 3000 Cask Strength bottles (75 cl). 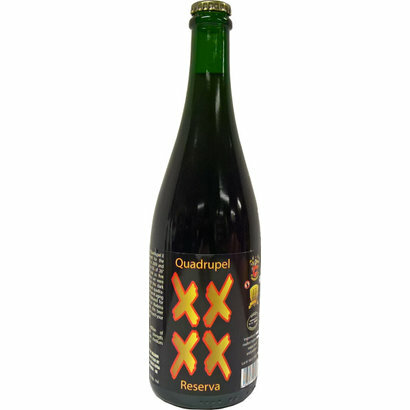 XXXX Quadrupel Reserva is a blond Quadruppel aged for two years on Madeira oak barrels. A limited edition of 3000 Cask Strength bottles (75 cl) with medium carbonation.